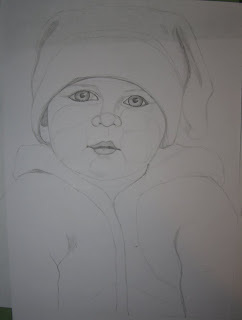 I will be working on two portraits at the same time for drying reasons as mentioned above. For this portrait, click on the label below, suzanne to see only this portraits updates. I love those eyes and the expression. Waiting to see the finished portrait.